Candis is a popular family-focused health and beauty magazine, which is packed with features, articles and information for you and your family. It has grown from strength to strength over the years due to its great stories, health and beauty tips as well as fun prizes, competitions and lots of offers for its readers. In more recent times, the magazine has become even more popular with its excellent health and beauty elements. The fashion & beauty section alongside the health & well-being section ensures the magazine is up to date and fresh, meaning the publication is a much more attractive read that can be enjoyed by many. With lots of high profile magazines available on the market, Candis is seen as of one the nation’s favourites for all the latest health and beauty gossip. The health section within Candis’ health and beauty magazine, offers readers the latest and most up to date health news. With carefully chosen real life case studies, expert advice from doctors, our top tips to staying healthy and helpful hints on healthy eating, it is no wonder why Candis is becoming the magazine of choice for families. To complement our magazine, Candis also offers a wealth of family health information available online for its readers. The beauty section within Candis’ health and beauty magazine is always topical and offers its readers the very latest fashion and beauty tips. The magazine shares the most contemporary styles, explains what is at the height of fashion and beauty and much more. To complement our magazine, Candis also offers a wealth of fashion and beauty information available online for its readers. 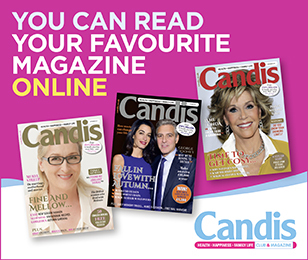 With the health and beauty magazine now jam packed full with exciting and interesting fashion and well-being stories, plus lots more, there has not been a better time to subscribe to Candis magazine. With magazine subscription deals and offers available now, you can join Candis today and keep yourself up to date with the latest in health and beauty advice.